The unequivocal title of his third book tells you that Peter J. Hotez isn’t pulling any punches. As a Baylor College of Medicine vaccine scientist and the father of an adult daughter with autism, he’s heavily invested in the fight against the anti-vaccination trend. 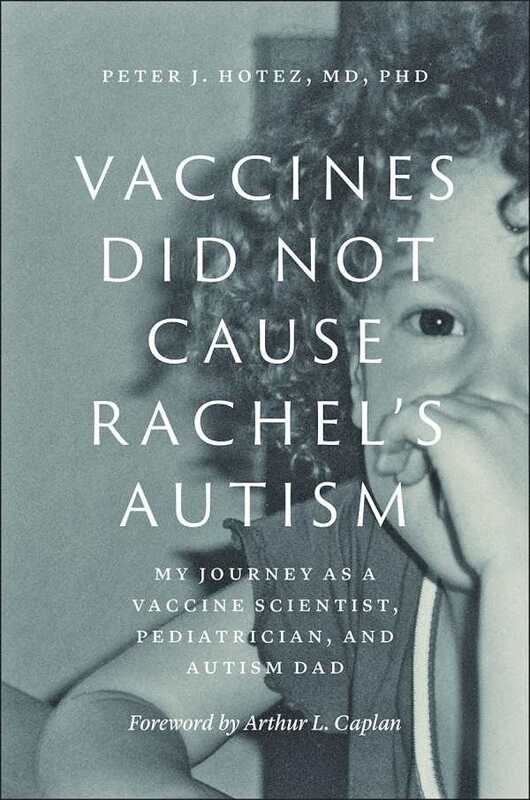 Vaccines Did Not Cause Rachel’s Autism begins by tracing the history of anti-vaccine movements. A controversial 1998 paper published in The Lancet led to a decline in vaccination rates in the United Kingdom and a consequent resurgence of measles. Andrew Wakefield, one of that paper’s authors, also released the 2016 documentary Vaxxed, which alleges a link between the MMR vaccine and autism. Hotez forthrightly dismisses Vaxxed as “a blatantly dishonest and exploitative piece of nonsense.” The brains of children with autism spectrum disorders are inherently different, he reasons, so it doesn’t make sense for autism to result from childhood vaccination. His arguments are all very clearly presented, and an epilogue of facts versus myths is particularly helpful. A text so full of scientific evidence and invective might have turned dull or strident were it not for the author’s family story. This personal material has a welcome softening effect. Sharing narration with his wife, Hotez recalls his daughter Rachel’s early years. Unlike many with autism, she was verbal and interactive, but she emitted particularly piercing cries, didn’t like to be hugged, and set off running given the slightest opportunity. After a high-school special-needs program, Rachel has struggled to find employment, and Hotez and his wife often feel alone when dealing with Rachel’s challenges. The answer, the author believes, is to counter harmful rumors with hard science. Ultimately he hopes to make vaccines more widely available—especially in countries threatened by tropical diseases—through the U.S. Science Envoy program.